Against the breathtaking backdrop of Appalachia comes a rich, multilayered post—Civil War saga of three generations of families–their dreams, their downfalls, and their faith. Cataloochee is a slice of southern Americana told in the classic tradition of Flannery O’Connor and William Faulkner. Nestled in the mountains of North Carolina sits Cataloochee. In a time when “where you was born was where God wanted you,” the Wrights and the Carters, both farming families, travel to the valley to escape the rapid growth of neighboring towns and to have a few hundred acres all to themselves. But progress eventually winds its way to Cataloochee, too, and year after year the population swells as more people come to the valley to stake their fortune. Never one to pass on opportunity, Ezra Banks, an ambitious young man seeking some land of his own, arrives in Cataloochee in the 1880s. His first order of business is to marry a Carter girl, Hannah, the daughter of the valley’s largest landowner. From there Ezra’s brood grows, as do those of the Carters and the Wrights. With hard work and determination, the burgeouning community transforms wilderness into home, to be passed on through generations. But the idyll is not to last, nor to be inherited: The government takes steps to relocate folks to make room for the Great Smoky Mountain National Park, and tragedy will touch one of the clans in a single, unimaginable act. Wayne Caldwell brings to life the community’s historic struggles and close kinships over a span of six decades. 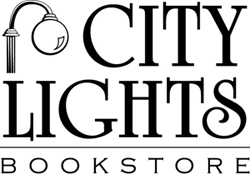 Full of humor, darkness, beauty, and wisdom, Cataloochee is a classic novel of place and family. 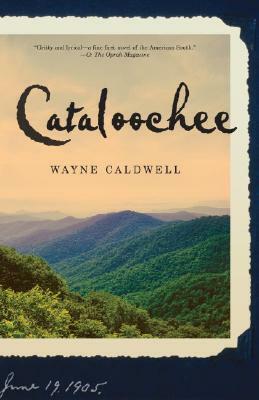 Wayne Caldwell was born in Asheville, North Carolina, and was educated at the University of North Carolina at Chapel Hill, Appalachian State University, and Duke University. He began writing fiction in the late 1990s. He has published four short stories and a poem, and won two short story prizes. Caldwell lives near Asheville with his wife, Mary. Cataloochee is his first novel.